In October, my family and I spent almost two weeks traveling around Iceland with Overseas Adventure Travels. I arrived in Reykjavík at 5am and spent my first hours drinking coffee in the airport while waiting for everyone to arrive. Even at the airport, everything seemed extra expensive. I bought a coffee and a juice for about $21CAD! Finally, everyone arrived and we headed to the hotel, ate breakfast and got ready for sightseeing. Our first stop was the Reykjavík Art Museum, conveniently located across the street from our hotel. 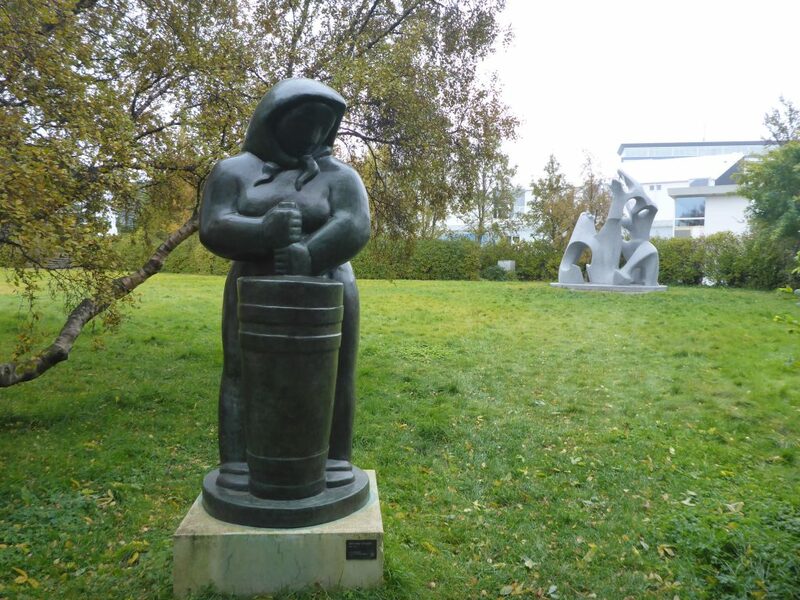 The museum was closed, as were many things during our stay because the tourist season was over, but we enjoyed statues by Ásmundarsafn Sveinsson on the grounds surrounding the museum. After the museum, we went to the Reykjavík Botanical Gardens. Even though summer was over, we still enjoyed the greenery, the ponds with water fowl, and a replica of an Icelandic turf house, a type of home that used to be built. And then we headed to Laugardalslaug, a public swimming pool. 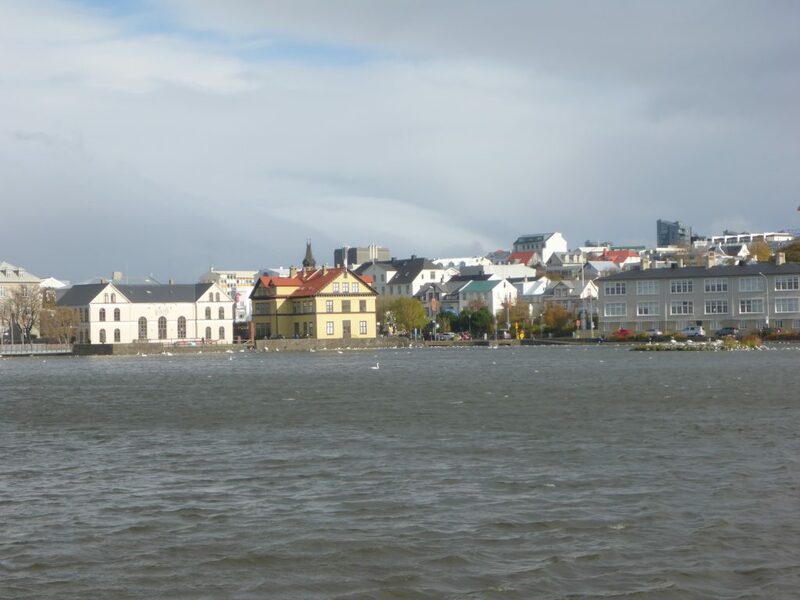 While researching the trip, I discovered that Icelanders love swimming. My kind of people! I was excited to learn that every place we stayed in had a local public pool nearby. I went swimming five times during the trip in four different cities. When we arrived at the Laugardalslaug, I was surprised to learn that the pools are outside, but the water was warm thanks to the geothermal heating. Another surprise was the number of hot tubs at the pools, each with its own specific temperature. The hot tubs are the cultural centre of the town; it’s where you hear all the good gossip. Refreshed from the swim, we headed back to the hotel for dinner and then rested up for sightseeing the following day. 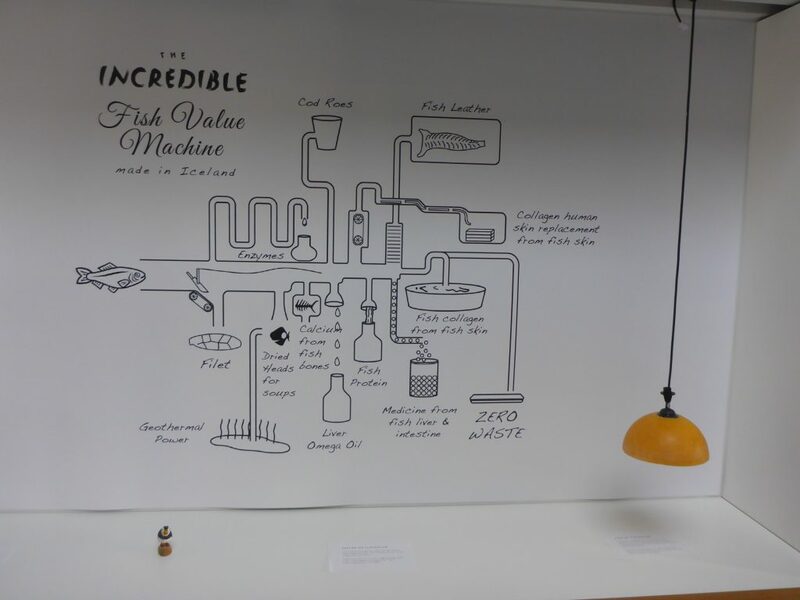 The next morning we headed to an innovative business center that specializes in producing cod in a sustainable way. They’ve created methods and techniques to use 100% of the cod in a variety of different products. After the business center, we visited the National Museum of Iceland. Then we walked around the downtown area enjoying the sights. 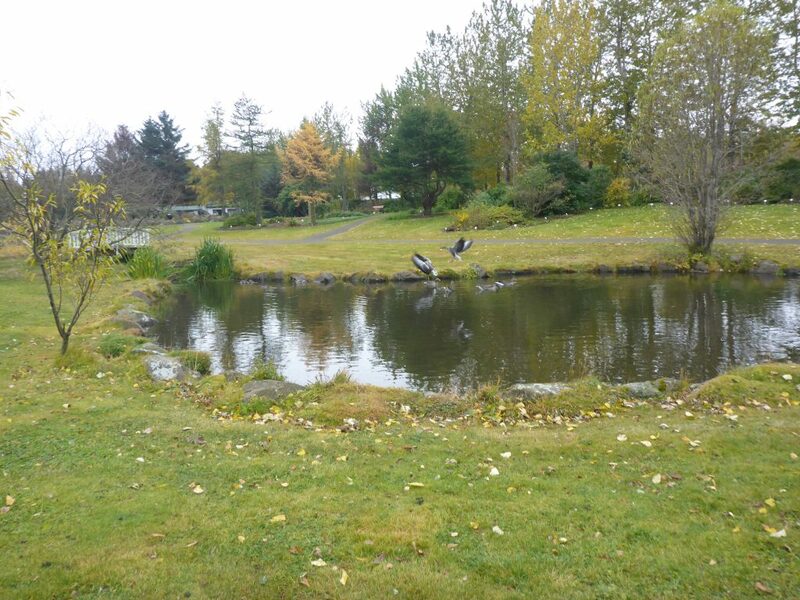 We went to the tourist center near a manmade pond. One thing that really impressed me was the height of the buildings. Everything in Toronto is growing vertical, so I really enjoyed seeing large expanses of the sky unimpeded by condos. Wonderful. Looking forward to more photos and stories.